Smoking an electronic cigarette is called vaping. Vaping is considered less harmful because it burns e-juice instead of tobacco. The e-liquid or e-juice comes in different flavors to offer you variety of taste. How the vapor is produced? Vapor is produced through an electronic process by which e-liquid is heated up through coils in the heating chamber of the vapor device. That vapor is then inhaled by the smoker to feel the taste of the burnt liquid and enjoy the clouds. Vaporizer is the electronic device that turns the e-liquid into vapor. It includes battery, main console, cartridge and atomizer. The battery provides power to the coil that burns the vaping material to produce vapor. Vaporizer includes a GUI display that displays all your required vaping data on the device. Vapour kits are rechargeable and comes with a charger. There are different vapour kits available with different features varying in different liquid storage capacity and heating capabilities to offer you a variety of vapor smoke delights. Vapor kits features different battery backup timing and liquid storage capacity to offer you the desired vape smoke delight at your ease. These vapor smoke devices are compact and portable and offer you convenience to carry anywhere you want. Vaping is becoming a popular trend because of its less harmful nature. Smokers find it an easy alternative to smoking regular cigarettes. Vapor devices are easily available everywhere these days. 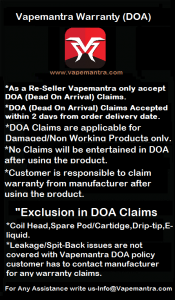 We are offering all kind of vapor kits Because of increasingly popular trend of vaping in India. 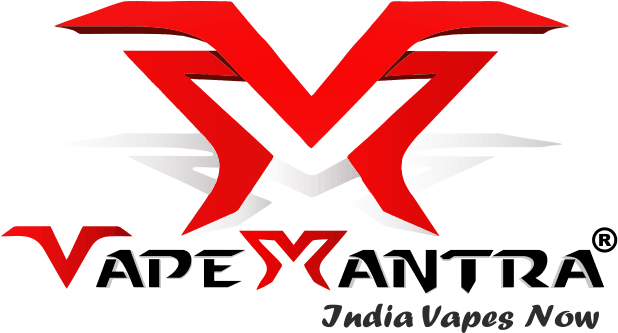 All kind of vaping devices, vapour kits, starter kits, vape pens are available at affordable prices in India.